Bushnell's slope technology is great for getting a more accurate read on how far you need to hit the ball. Unfortunately, it's not always legal for tournament play. 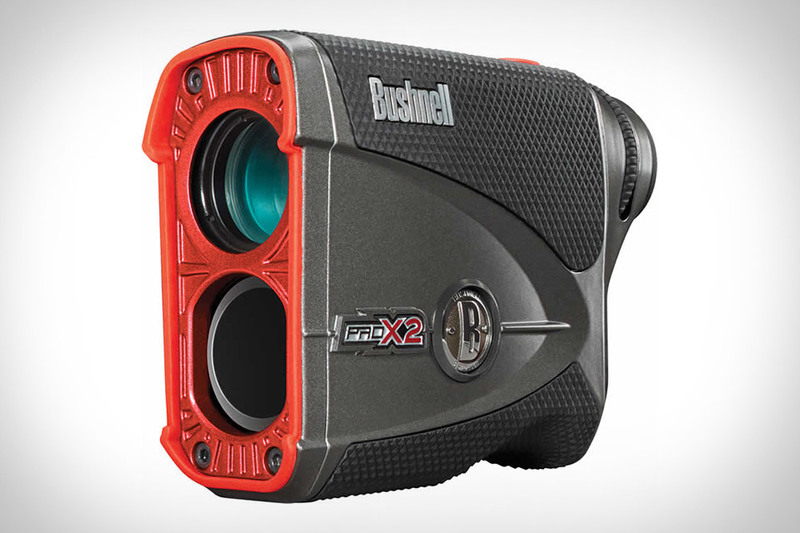 The Bushnell Pro X2 Rangefinder makes it easy to swap between compensated and standard measurements with a side-mounted switch. It also has faster acquisition, Jolt technology that vibrates to let you know you're locked onto the pin, 6x magnification, and readings down to a tenth of a yard, or so close you have no one but yourself to blame for not hitting it pin-high.